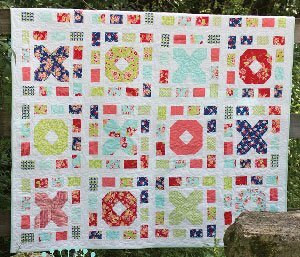 Always is a quilt pattern that you can make for anyone for any reason. Create it using just the "X's" or "O's" or use both to fit the reason behind the meaning in your quilts. Baby size: 34" x 34". Lap size: 66" x 66". Queen Size: 98" x 98"